1st class Country Estate on an approx. 9 acre private lake! 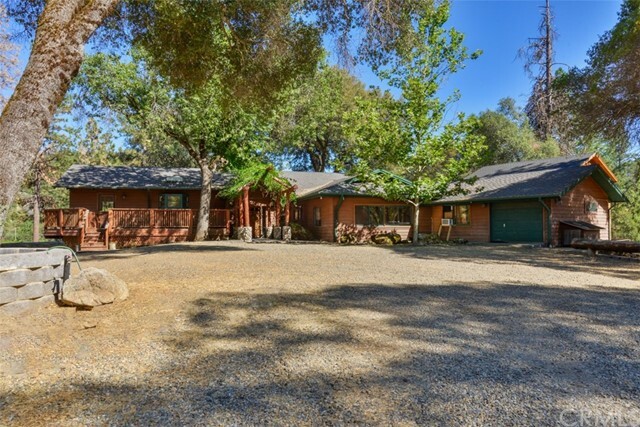 Located on 32.43 beautiful acres with pines, oaks & manzanitas at approx. 3000 elevation and only 3+/- miles to Bass Lake. This inviting country home is approx. 3800SF (per seller), split level featuring 5 bedrooms and 4 bathrooms overlooking a built-in pebble tech pool & spa and boat dock on the lake. It doesn't get any better than this! Ideal property for horses, vines and/or an orchard. Only 5+/- minutes to Oakhurst. Ideally located. By appoin1st class Country Estate on an approx. 9 acre private lake! Located on 32.43 beautiful acres with pines, oaks & manzanitas at approx. 3000 elevation and only 3+/- miles to Bass Lake. This inviting country home is approx. 3800SF (per seller), split level featuring 5 bedrooms and 4 bathrooms overlooking a built-in pebble tech pool & spa and boat dock on the lake. It doesn't get any better than this! Ideal property for horses, vines and/or an orchard. Only 5+/- minutes to Oakhurst. Ideally located. By appointment only. Currently a vacation rental with rental income! An indoor/outdoor game room, a guest house and a huge deck to enjoy the lake, pool and life!! Definitely one of a kind!! !